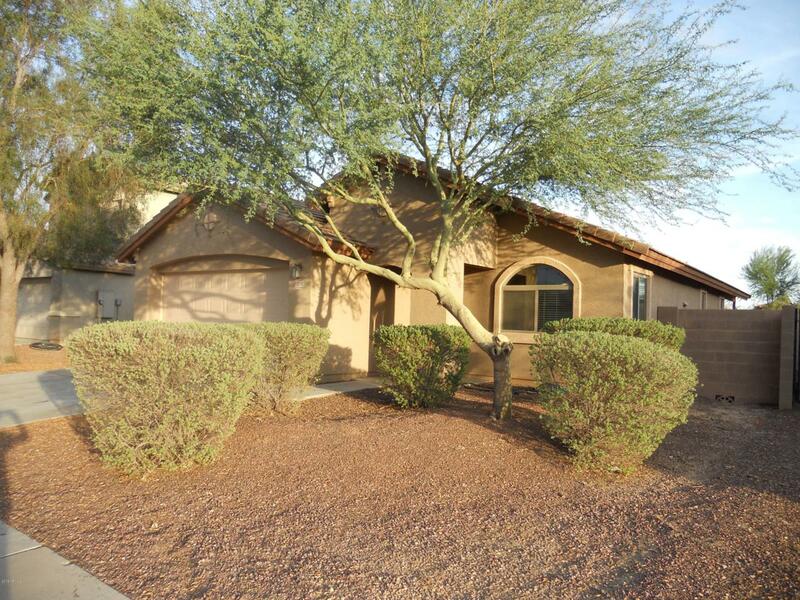 This super nice Sunset Vista home is situated on a highly desirable north/south facing lot and offers a large backyard with a covered patio and view fencing overlooking a beautiful desert wash. 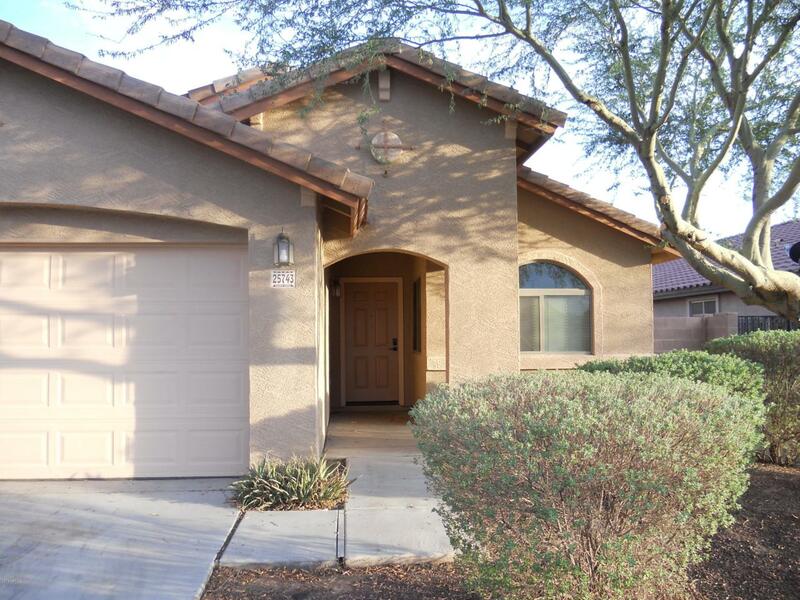 It features 3 bedrooms, 2 bathrooms and a large great room. The kitchen opens up to the dining room on one side and overlooks the breakfast bar and great room on the other. The extra-large master suite features sliding glass doors to the outside patio area, a walk in closet and double sinks. 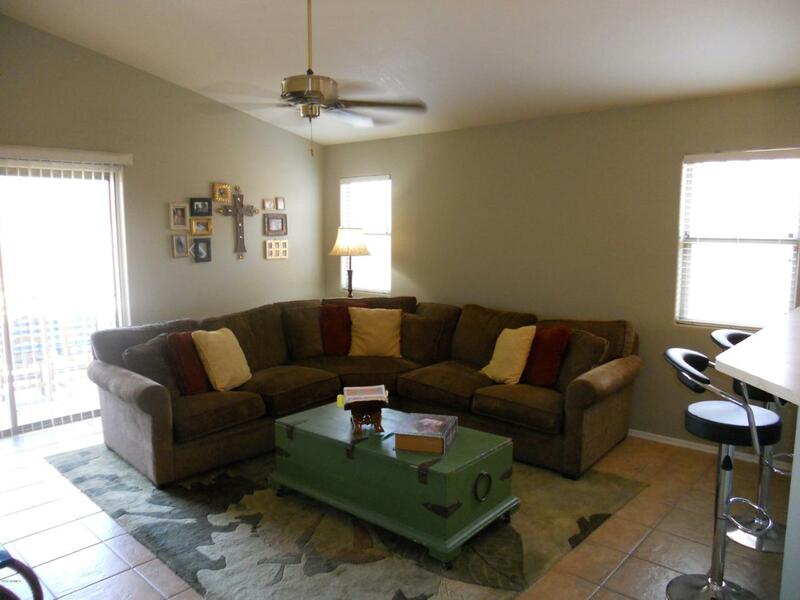 It has carpet in all bedrooms and tile throughout the rest of the home. The 2 car garage includes built in storage cabinets. The community park is just seconds away and offers a picnic area, a slide and other fun activities for the little ones. 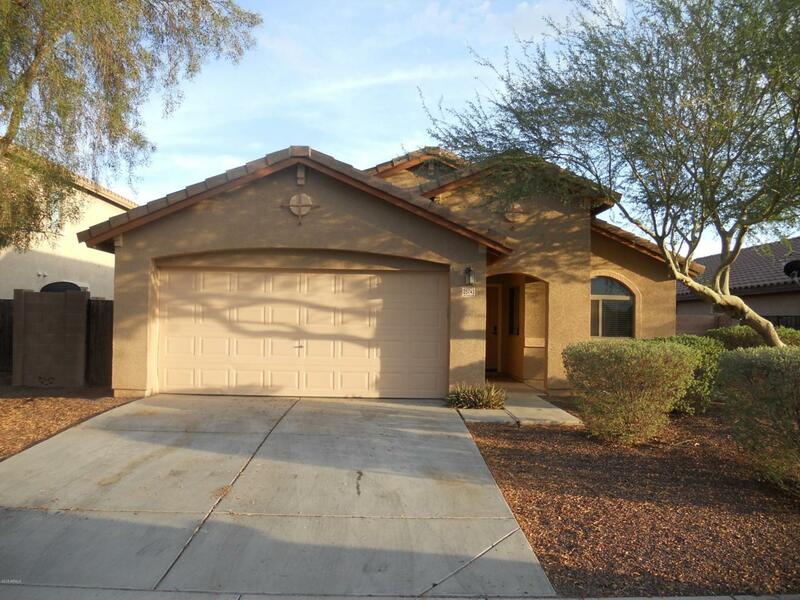 Located within walking distance of Bales Elementary School.